The money was said to have been part of the N4.7bn that was siphoned from the imprest account of the Office of the National Security Adviser and deposited into the bank account of a company belonging to the sons of a former Minister of State for Defence, Musiliu Obanikoro. The PUNCH had reported last week that the EFCC alleged that Obanikoro conveyed about N1.219bn on an aircraft and handed it over to Agbele for onward delivery to Zenith Bank. Agbele was said to have collected the money on behalf of Fayose and paid the money into the account of Fayose, who was the governorship candidate of the Peoples Democratic Party at the time. According to five Zenith Bank deposit slips made available to our correspondent, Agbele made deposits of over N900m into his own company account and Fayose’s own. On June 26, 2014, Agbele made a deposit of N137m into a Zenith Bank account, with Account Number 1003126654, belonging to Ayodele Fayose with teller number 0556814. On June 17, 2014, Agbele also deposited N100m into Account Number 1010170969 belonging to Spotless Investment Limited, a company owned by Fayose and his wife, Feyisetan. On June 18, 2014, Agbele also made a deposit of N219, 490, 000 into the account of De Privateer Limited with Account Number 1013835889 and teller number 0505890. The company allegedly belongs to Agbele. On June 19, 2014, he also made a deposit of N300m into the same account while a third deposit of N200m was made into the same account on June 23, 2014. “Agbele is an associate of Fayose. We are currently looking for him because he has a lot of explanations to make. He held some of the money in trust for Fayose,” the EFCC source said. In his reaction, Fayose admitted that Agbele was a trusted friend who paid money into his account. He, however, maintained that the money came from the management of Zenith Bank and private donations. He said, “The management of Zenith Bank, which majorly funded my election, called me to a meeting where I was assured that the fund would be provided for my election. I was asked to nominate a trusted ally to be related with and I nominated Mr. Abiodun Agbele. 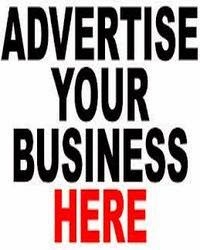 “All the payments into Abiodun Agbele’s account domiciled in Zenith Bank were directly from Zenith Bank. In actual fact, the account was opened by Zenith Bank hurriedly at that time and Abiodun Agbele’s identity card, which ought to have been collected before the account, was opened, was only collected last week in the bank’s desperation to perfect the account obviously after submitting to the intimidation and harassment of the EFCC. Agbele’s account with Zenith Bank has since been frozen by the EFCC as well as those of Fayose and his company. 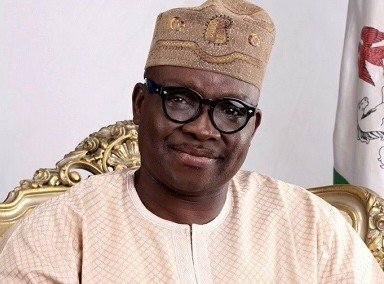 In a statement on Monday by Fayose’s Special Adviser, Public Communications and New Media, Mr. Lere Olayinka, the governor condemned the arrest of his friend. Fayose maintained that his campaign was funded by Zenith Bank and not the ONSA. The statement read in part, “Our attention has been drawn to the arrest of Mr. Abiodun Agbele by the EFCC and we wish to say that we encourage the EFCC to carry out its investigations without politics, as it is being done now. “It must be pointed out that at no time was Mr. Abiodun Agbele invited by the EFCC, and if he had been invited, he would have honoured the invitation. Therefore, there is nothing to celebrate in his arrest if it is not political. “As already pointed out, Governor Ayodele Fayose does not have anything to do with any fund from the ONSA. He has stated how his election was funded and Zenith Bank that he said funded his election has not denied doing so. “Also, the person said to have been arrested is an adult and will defend himself when the time comes. Subjecting him to media trial, as the EFCC has been doing since the inception of this government, will only give our adversaries momentary sense of joy.